Few of us know much Saint Patricks Day history - such as how the holiday came to be, or why the celebration was originally created. In many ways, it has become somewhat like Christmas - with the secular celebration often taking priority over the spiritual origins. Except for "the wearing of the green", shamrocks, and leprechauns jumping around with Ireland on their minds, we seem to know little about the humble beginnings of this March holiday. Patrick wasn't Irish. He was a British Celt. He was taken into slavery in Ireland as a teenager, and later went back into great danger as a missionary to the country of Ireland. The only documents Saint Patrick ever wrote are his Confession (The Confession of Saint Patrick) and a letter to Corticus. March 17 is the date we celebrate Saint Patrick's Day, but no one knows if Saint Patrick was either born or died on that date. Patrick was born before the Roman Catholic Church existed - and was considered a "saint" before he was officially added to the Roman Catholic Church's canon (or list of saints). The Shield of Saint Patrick may or may not have been written by Patrick, but is attributed to him. Irish folklore about Patrick chasing snakes and other reptiles out of Ireland has no basis in fact. Besides the Shield of Saint Patrick, there is also a lot of Irish history swirling around the famed Claddagh ring. For more of the fact and lore surrounding the ring, click here. The Shield of Saint Patrick as well as Ireland's Coat of Arms are other symbols of the beautiful country. Most of us recognize the Shamrock as an "official" Irish symbol, but few know it was used to honor the Holy Trinity of God the Father, the Son, and the Holy Spirit signified by its 3 petals. 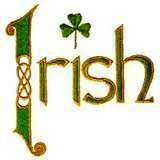 Of course, all Irish music is fair game for the celebration of Saint Patricks Day history. For a list of several famous Irish folk songs, click here. Irish Folk Music is unique and adds a vibrant color to Americana music. Our Irish ancestors were absorbed into the culture of America, but they retained their country's distinctive musical flavor and traditions. For a foot stomping, hand-clapping rendition of the Irish Washerwoman, click here. From Irish Names to funny Irish folk songs to Irish Symbols and foot-tapping music, Irish folklore, folk music and Saint Patricks Day history are rich in color, communication and creativity.